Money problems are one of the leading causes of divorce. So, it’s no surprise that couples who had financial difficulties while married cannot agree on financial issues during divorce proceedings. Once the decision to divorce has been made, there are dozens of questions which are colored by emotion. Finding the right answers is crucial to making the right decisions regarding the most important aspects of your life. There are considerations concerning the well-being of children such as ensuring that their education and medical insurance are provided for and that they have a good place to live. The valuation of property, including the marital home. Equitable division of assets, businesses, and property. The long-term financial situation of the spouse which earns less. Disposition of the marital home and/or other property. Personal assets owned prior to the marriage. Most divorce attorneys can deal with the basic distribution of marital property but find themselves at a loss when there are complex financial details such as tax issues, pensions which need to be divided, and capital gains. Let alone if you have investments in businesses ventures, hedge funds or private-equity. Their expertise is the law, not necessarily in finance. And even if they have years of experience dealing with financial issues, they are not allowed to testify in court on behalf of their clients if it comes to that. That’s why many divorce attorneys turn to financial professionals for expert analysis and information which can help provide the best possible settlement for their clients. What is the Role of a Certified Divorce Financial Analyst® (CDFA)? A Certified Divorce Financial Analyst® or CDFA combines the knowledge of a financial planner, investment advisor, and an accountant to provide clients with an analysis of their present financial situation and future goals. This approach is ideal in helping both the client and lawyer understand how the divorce settlement can impact the client’s financial future. 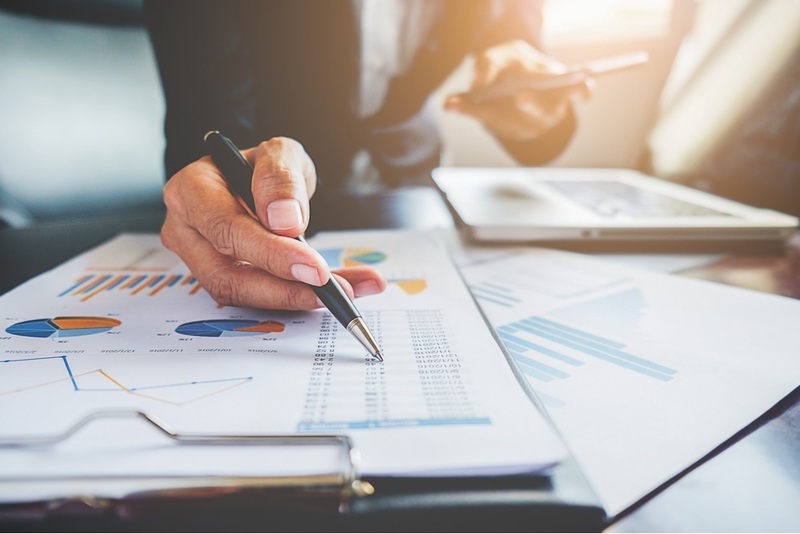 A CDFA generally hails from an accounting, legal, or financial planning background and undergoes extensive training in order to acquire the skills necessary for analyzing the financial issues unique to divorce. While hiring another professional may seem like an unnecessary expense, having the right advice before or during critical divorce negotiations which concern your financial situation could save you money and may improve your long-term financial picture. What Does a Certified Divorce Financial Analyst® (CDFA) Do? Determining the effects of property division, both in the short and long-term. Analyzing investment accounts, retirement plans, and pensions. Determining if a client can afford to maintain their lifestyle, keep the matrimonial home, and provide affordable alternatives to keeping the home. Forecasting future net worth based on proposed asset splits. Providing inflation and rate of return projections. Projecting future college expenses and funding for dependent children. A crucial part of a Certified Divorce Financial Analyst’s® role is also to provide the attorney and client data which can demonstrate the financial effect of the divorce settlement. The CDFA is trained to interview clients, to collect financial data, develop budgets, set retirement objectives, and determine education costs for the client’s children. Why You Need a Certified Divorce Financial Analyst® (CDFA)? You may need a CDFA if you and your spouse own a business together, have substantial assets, complicated investments (such as stock options, hedge funds, or private-equity funds) to better understand your financial situation, or to create a post-divorce budget which can provide you with a financial plan. A CDFA will help you through the entire divorce process unlike a divorce attorney who is only hired to finalize your divorce and negotiate the best settlement. A certified divorce financial analyst will help you prepare for your future from every angle not just focusing on the legal aspects. Finances are also important when considering whether to hire a Certified Divorce Financial Analyst®. Some are also certified as divorce mediators. This means they can help you draft an agreement which works for both parties and avoid litigation, which is the most expensive divorce method, and save you money. Depending on your location, a CDFA may be less expensive than an attorney and yet will often provide more insight into the financial aspects of your divorce negotiation than a divorce lawyer. Your CDFA can continue to help you even after your divorce is finalized. He or she can help you manage your new financial arrangements including setting up a retirement accounts, handling your taxes, and advise you on investing. They can even help you obtain health insurance and determine which type of life insurance would be best in your situation. You will be discussing your financial situation in extreme detail, so it will be helpful to compile a list of questions and concerns beforehand. Collect all your pertinent financial documents such as W2s, bank, retirement, pension, and investment statements, mortgage statements, contracts, past 2 years tax returns, and information regarding debts. This information is crucial to determining the true state of your finances. Make sure to include a copy of your detailed household budget and expenses related to children which will enable the CDFA to identify areas where you can cut expenses in order to minimize discomfort once your finances shift into a single-income household. Divorce can be complicated and stressful. While a divorce attorney can handle the legal aspects of negotiating a fair divorce settlement, a financial expert can deal with the financial aspects which will affect your future. Most attorney’s agreements will make it clear that they will take no financial responsibility. That’s why most divorce lawyers welcome the addition of a CDFA to your team. If your lawyer discourages you from retaining the services of a certified divorce financial analyst, then it is something that should concern you. A CDFA can serve as a valuable member of your divorce team regardless of whether you opt for litigation, arbitration, or mediation because their prime concern is your financial well-being. This concern extends beyond the present timeframe and into your future. They can even assist you in crafting a post-marriage plan which can improve your financial situation despite the divorce. No other professional is more invested in ensuring that you are able to secure a divorce agreement that will serve your needs now and in the future.